Johnny Cockit accidentally murdered a man when he was ten years old, which is why he was sent to Sonoran Correctional High School, a gender-segregated boarding school located in Phoenix, Arizona. Two months before graduation, Johnny and his friends are drugged and abducted by Walnut Cherryville secret watchers during an afternoon counseling session. Making decisions about the future has never felt important until the students are forced to work in a remote produce factory owned by the vengeful Quinton family. 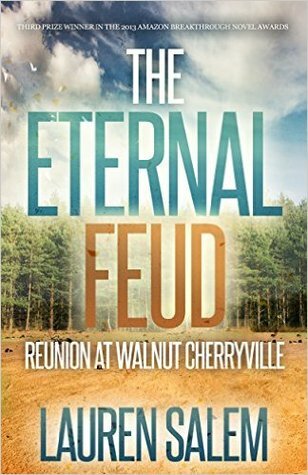 Walnut Cherryville is no ordinary factory; it’s the Quintons’ futuristic desert village governed by the principle that people live better-quality lives when they don’t make their own decisions. To ease the burden of life’s basic yet complicated choices, the government limits misdirection by choosing every citizen’s career path and lifestyle. Johnny and his friends plot an escape but must avoid being recaptured because abandonment of the village is a crime punishable by death. In a scandalous turn of events narrated by Johnny and his delinquent friends Vincent, Laura, and Collins, they discover that the reason they were captured roots back to an ancient family feud between the Cockit and Quinton families. To sign up please leave your email and what format you'd like. Once copies go out you will have three weeks to Read and Review the book, and please don't forget to post the link to your review in this thread! If you cannot finish this book for whatever reason, please let us know so we can remove your name from the list and allow someone else to review it. Thanks! Jessica wrote: "I'd like to review this! J.panetta_54@kindle.com" I went ahead and put your name on the list, but can we get your regular email please? We are sending out links to download. Catherine wrote: "would love to riri this in mobi format please. send it to clhunt77_90@kindle.com"
I put your name down on the list as well, but can we get your regular email please? We are sending out links to download. LeAnn wrote: "Catherine wrote: "would love to riri this in mobi format please. send it to clhunt77_90@kindle.com"
I put your name down on the list as well, but can we get your regular email please? We are sendi..."
LeAnn wrote: "Jessica wrote: "I'd like to review this! J.panetta_54@kindle.com" I went ahead and put your name on the list, but can we get your regular email please? We are sending out links to download." I have just sent copies out to members who have signed up so far. Please remember that you have until 1st March (3 weeks) in which to read and review this book, and post your review here. Any problems just let me know. Enjoy! Catherine wrote: "have received the email with the book links but no smashwords code and the kindle one shouldv'e been done as a gift as with the link i takes you to a paid for book"
The links were sent to us via the author. The kindle copy should not have been done as a gift as the links should have taken you to free book. I'm sure it's a simple error and therefore I have emailed the author to let her know. I have also asked her about the smashword code. When she get back to me I will of course let you and everyone else know! Have a good day! If it's not coming up free for you, please let me know. The kindle book is not free for anyone outside the US and that why it's taking you to a paid link. However you don't need a code for the smashwords link as the book is free. It was showing up free for me when I clicked on it and as I like you live in the UK I don't see why it not free for you. So please try the smashwords link again. Hello unfortunately I am unable to finish reading this book at this time. I do apologize.